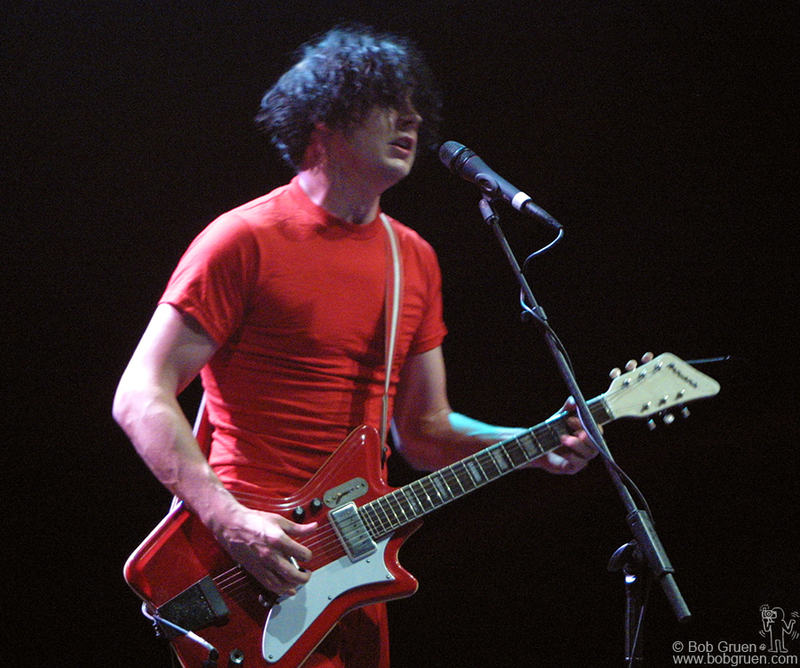 Jack White shows off his guitar style. 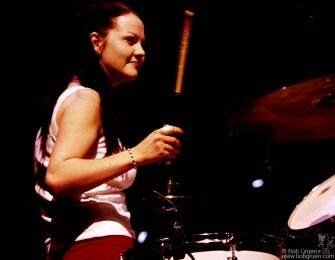 Meg White playes her minimal beats. Together, Meg and Jack put out a lot of rock for a duo. 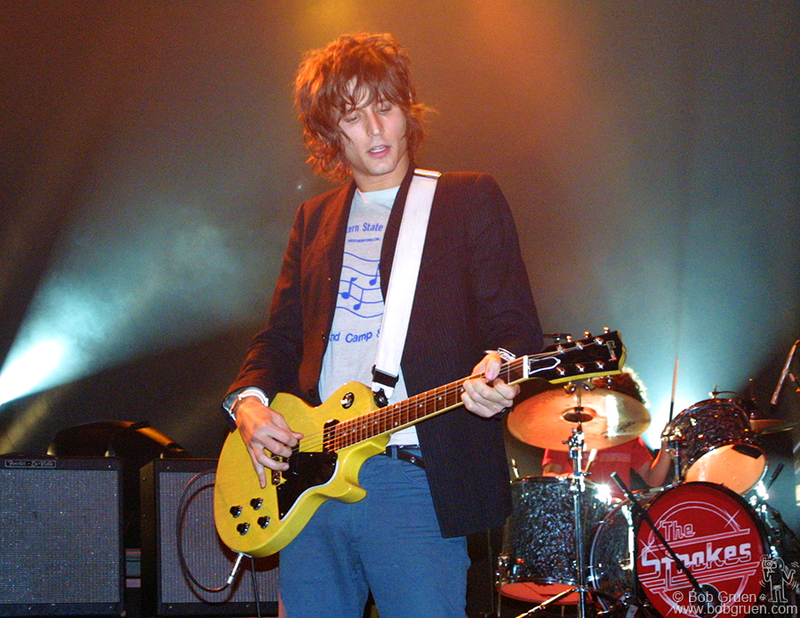 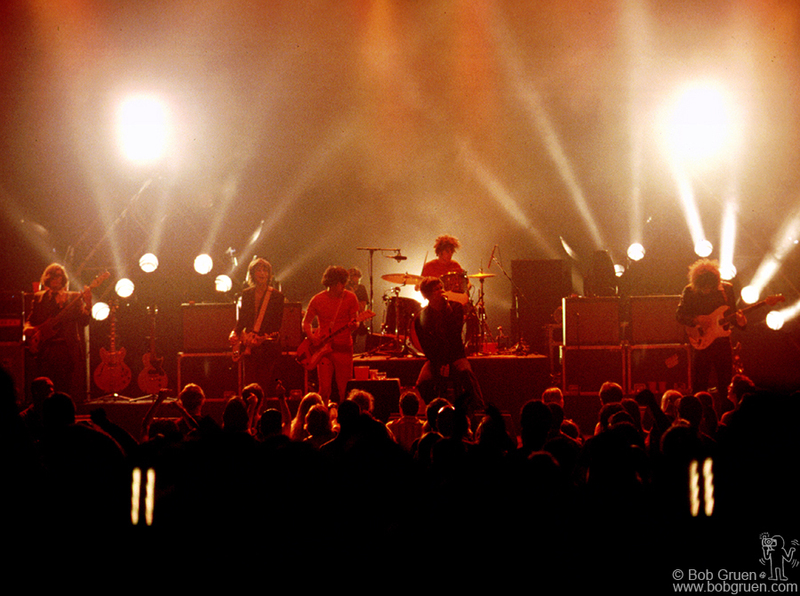 Nick Valensi plays as the Strokes start their set. Julian Casablancas sings as Albert Hammond Jr plays. 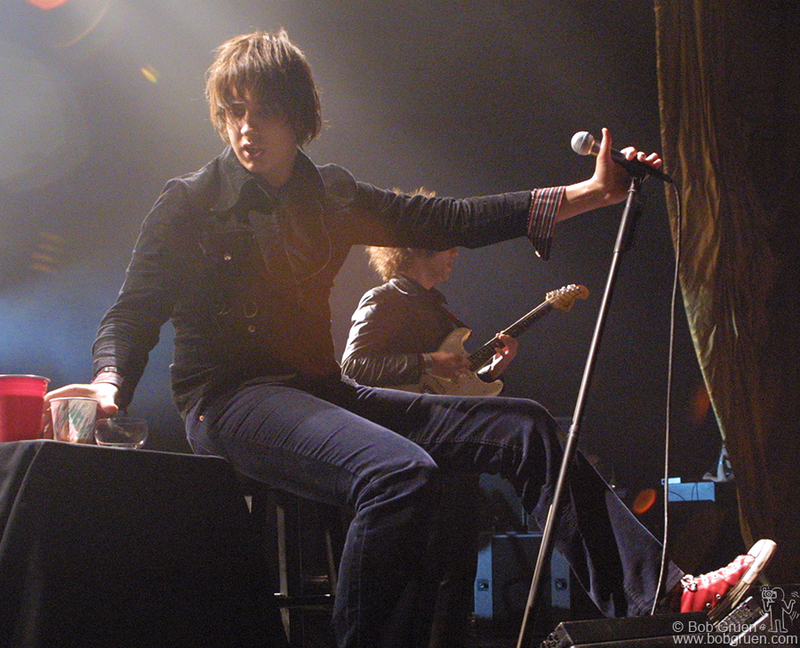 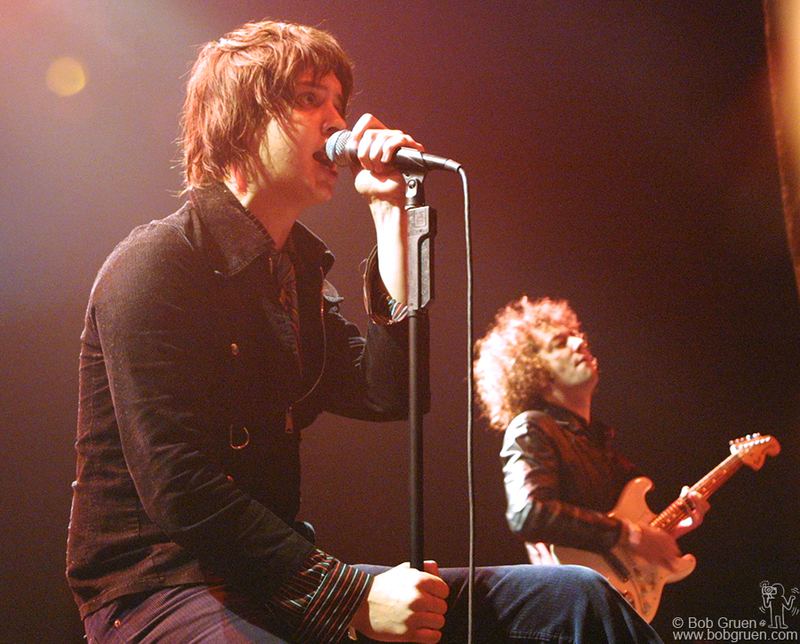 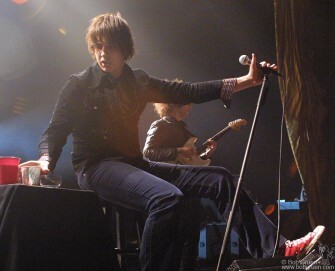 Julian had recently hurt his knee in a car accident and performed most of the show sitting down. 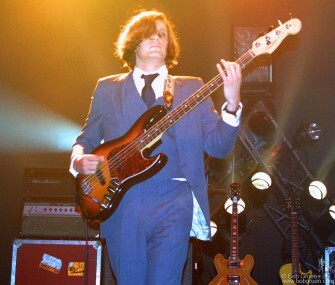 The crowd was thrilled when Jack White came onstage to join the Strokes for the encore. 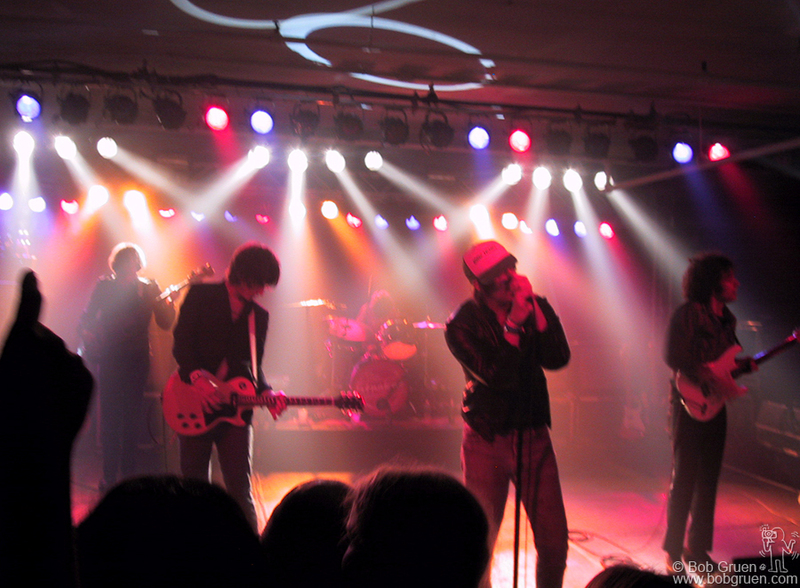 At the Fader Mag party after the MTV Music Video Awards show, the Strokes play for the VIP crowd. 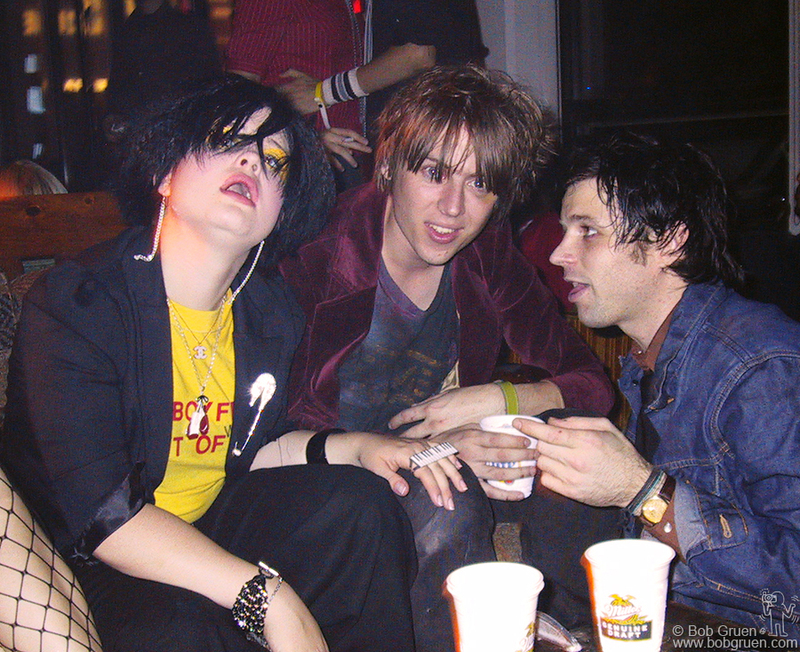 Kelly Osbourne, Craig Nicholls of the Vines, and Ryan Adams, at the Fader party. Toilet Boys singer Miss Guy and guitarist Sean get to know Kelly Osbourne at the Fader party. 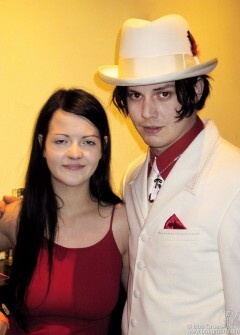 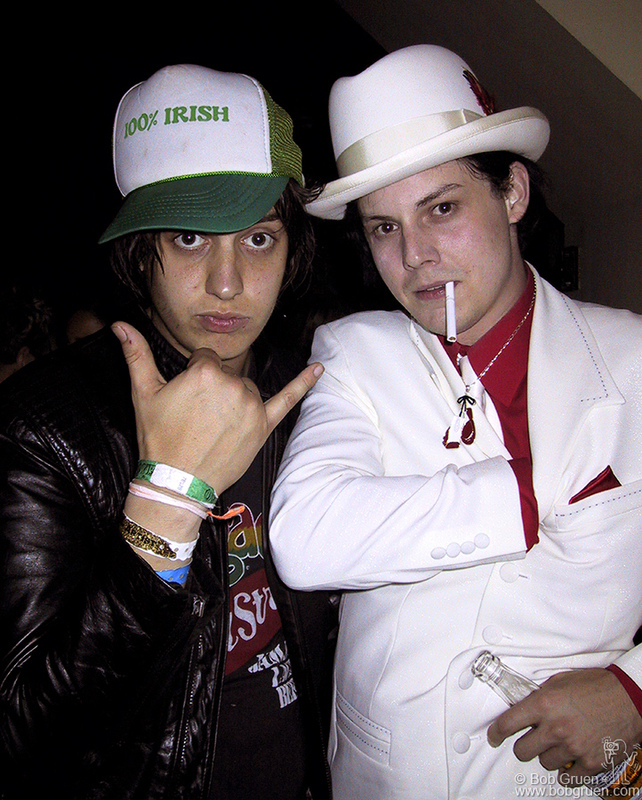 Julian Casablancas gets close to Jack White as the party continues at the Niagara bar on Ave A.
Meg White and Jack White still looking good even at 5am! at Niagara. 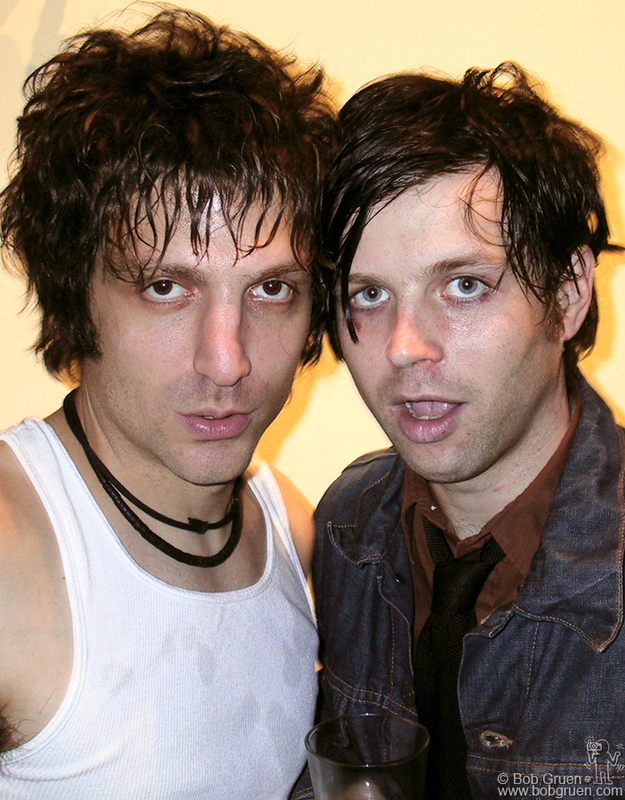 Niagara owner and rock singer Jesse Malin with Ryan Adams at the MTY aftershow party. Ryan produced Jesse’s great new CD.